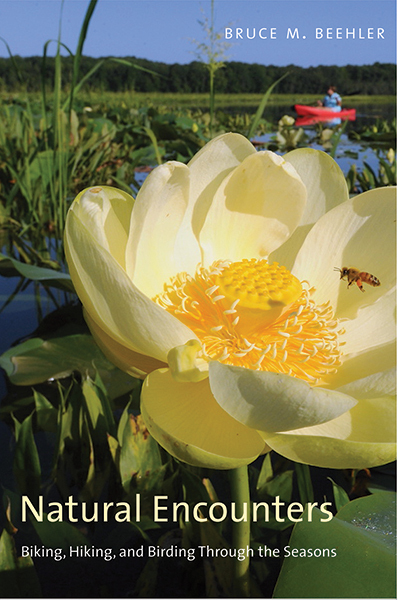 In this “personal encyclopedia of nature’s seasons,” lifetime naturalist Bruce Beehler reflects on his three decades of encountering nature in Washington, D.C. 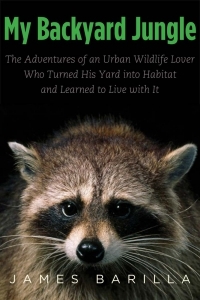 The author takes the reader on a year‑long journey through the seasons as he describes the wildlife seen and special natural places savored in his travels up and down the Potomac River and other localities in the eastern and central United States. Some of these experiences are as familiar as observing ducks on the National Mall in Washington, D.C., or as unexpected as collecting fifty‑million‑year‑old fossils on a Potomac beach. Beyond our nation’s capital, Beehler describes trips to nature’s most beautiful green spaces up and down the East Coast that, he says, should be on every nature lover’s bucket list. Combining diary entries, riffs on natural subjects, field trips, photographs, and beautiful half‑tone wash drawings, this book shows how many outdoor adventures are out there waiting in one’s own backyard. The author inspires the reader to embrace nature to achieve a more peaceful existence. Bruce M. Beehler is a research associate in the Division of Birds at the National Museum of Natural History in Washington, D.C. He served as a scientist and conservationist for the Smithsonian Institution, Conservation International, U.S. Department of State, and Wildlife Conservation Society. His previous books include Lost Worlds: Adventures in the Tropical Rainforest and North on the Wing: Travels with the Songbird Migration of Spring.